» Portfolio » Urban spa in the “El Escaladillo”, Sallent de Gállego, Huesca. Spain. 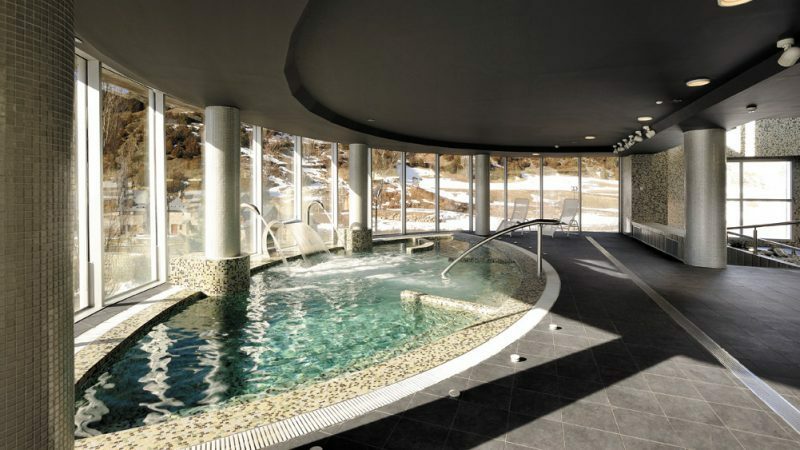 This project, prepared by Architect Francisco Sánchez Solans, is for the construction of a covered swimming pool and wellness area in Sallent de Gállego, Huesca. The site is adjacent to the existing multi-sports centre, thus giving Sallent Town Hall a top level multi-sports and leisure-cultural complex. The thermal complex is on the site annexed to “El Escaladillo” multi-sports centre, is developed on four levels and has nearly 5,000 square metres of useful space. 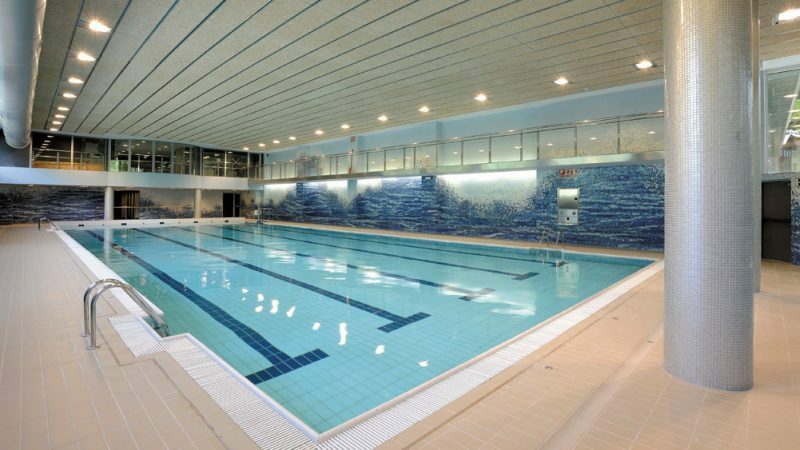 The swimming pool is with five lanes and the water treatment is with ozone and ultraviolet. 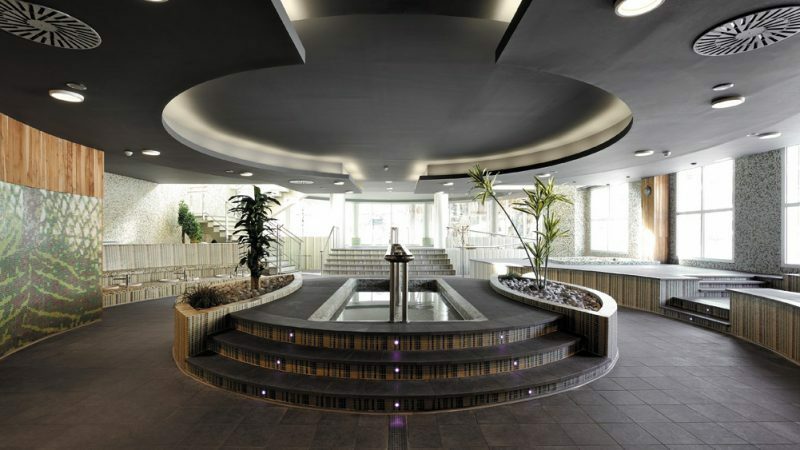 The building also has two floors for the spa; one for wellness, with various types of installations with different humidity and temperature. There is also another swimming pool for leisure, with several types of treatments fitted in it. 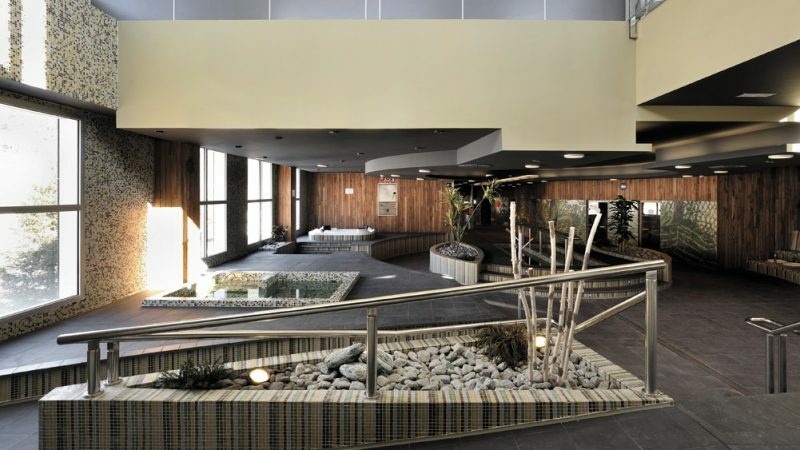 The last floor is dedicated to all kinds of hydrothermal cures and treatments, massage and solarium. The basement of the building contains all the technical installations for the swimming pools and the air conditioning room. The roof holds the air conditioning machinery and the battery of solar exchangers. The interior claddings are Italian, of artisanal manufacture. These are vitreous coatings of excellent quality, with personalised designs. 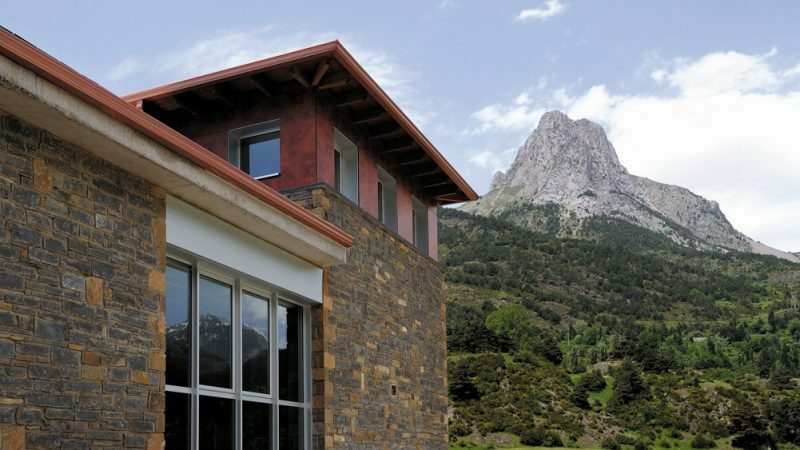 The exterior cladding is in local stone, the façade is fitted with phenolic ventilation. All the installations are designed to give maximum performance, in harmony and environmentally-friendly, that is to say, through the use of renewable technology, such as solar plates for the air conditioning, and special insulation for the conditioning of the building. The construction of the building has been undertaken under strict rules of construction and environmental quality.